This is PJ’s sister Robin. 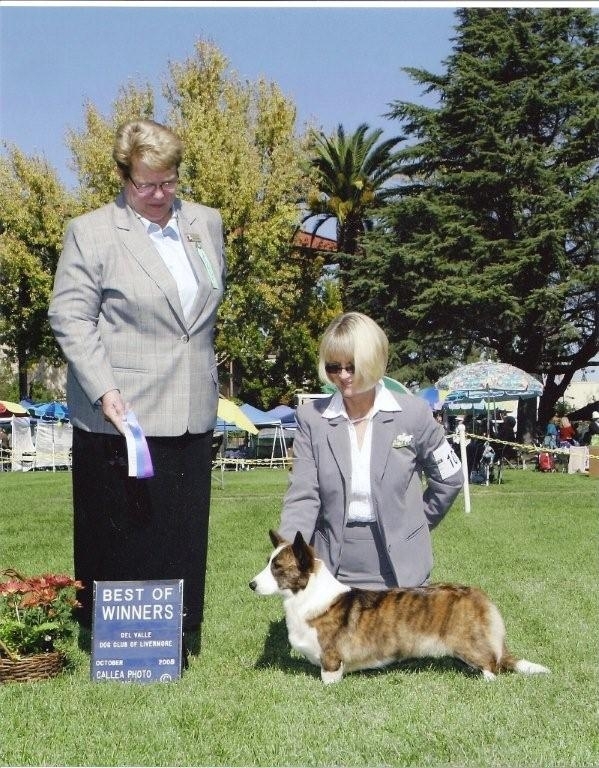 Robin stayed with their breeder Marian Mizelle and now joins PJ and their other brother Harvey as Champions. Sister Star is just behind only needing a few single points. ← They are coming………. There Here! Very pretty! She has more body length than mr PJ…love the color. Yes PJ is the most moderate of the group, moderate lenght, moderate bone, moderate size. Extraordinary Dog.